We are looking at over a hundred models by the end of March. Luckily, I have turned into a bit of a hobby machine over the past two weeks and built 48 of the 49 infantry models and two of the trucks for the Genestealer Cult and I’ve painted 20 partisans. If that pace continues, I’ll finish with time to spare. 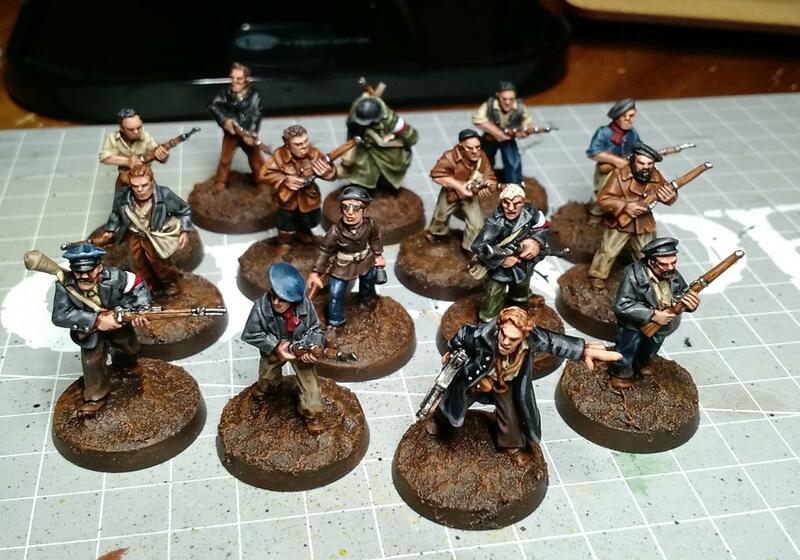 This week my goal is to paint ten partisans and both of the trucks. 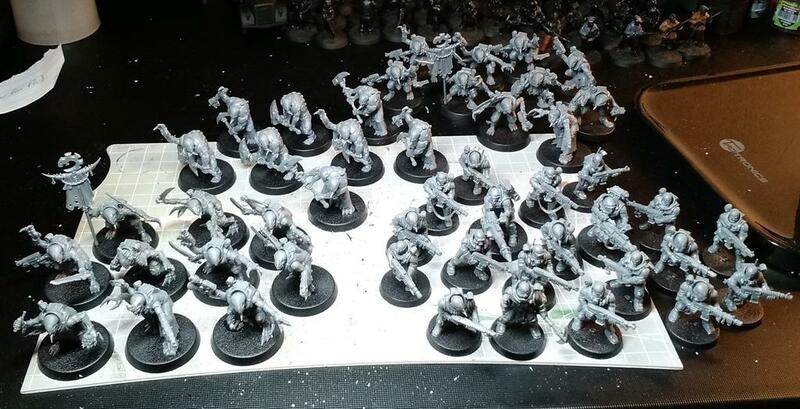 If I have time I will get the last infantry model built for the Cults and get the whole army mounted on urban bases. Last week I realized how much I can get done if I set aside the time to do it. Monday through Sunday I put in an average of three hours each day and I took 20 Partisan models from primed to done. I must admit, I was surprised by the progress, especially considering these Partisan models are not an easy army to crank through. There is no uniform equipment, style or color. Plus, we are using models from a half-dozen different companies. I’ve found that it’s easy to paint batch after batch of models for an army as long as they all have the same uniform or style. The more of them you paint, the faster you get. No such luck with the diverse Partisan army. My hope is that all the varied colors and styles will create a striking army on the table top. Although I was able to get a lot done over the past couple of weeks, I am worried. Worried that I will not able to get it all done in time. This year will be my fifth Adepticon and it is a highlight of the year. There is also the added pressure of the two team events and I refuse to let my teammates down. I made promise to get these models done in time and I will not allow myself to cut corners or to deliver anything short of a finished product. For daily hobby progress updates be sure to follow Chicago Dice on Instagram, Twitter or Facebook.